A photo of stabbing victim Nia Wilson, right, is displayed at a news conference as her father Ansar El Muhammad, left, and her mother Alicia Grayson listen during a news conference in San Francisco. Her accused killer, John Lee Cowell, recently released from state prison, is currently awaiting a mental competency hearing to assess whether he’s fit to stand trial for murder and attempted murder for his attack on Nia Wilson and her sister, Lahtifa. In the meantime, Wilson’s family has filed a wrongful death lawsuit against BART for not doing enough to ensure its riders are safe. The suit, filed Friday against the transit agency, seeks monetary relief as well as a judge’s order “to compel systemwide safety measures that BART has embraced sporadically and in select locations,” writes The San Francisco Chronicle. The proposed changes include creating a system for tracking regular fare evaders, a measure meant to target people like Cowell, who was reportedly a serial fare evader. According to the Huffington Post, Wilson’s family is also calling for more consistent staffing at BART stations to block evaders, and the establishment of a Nia Wilson Crime Statistics Notice, which would display up-to-date information about crime statistics at every BART station. 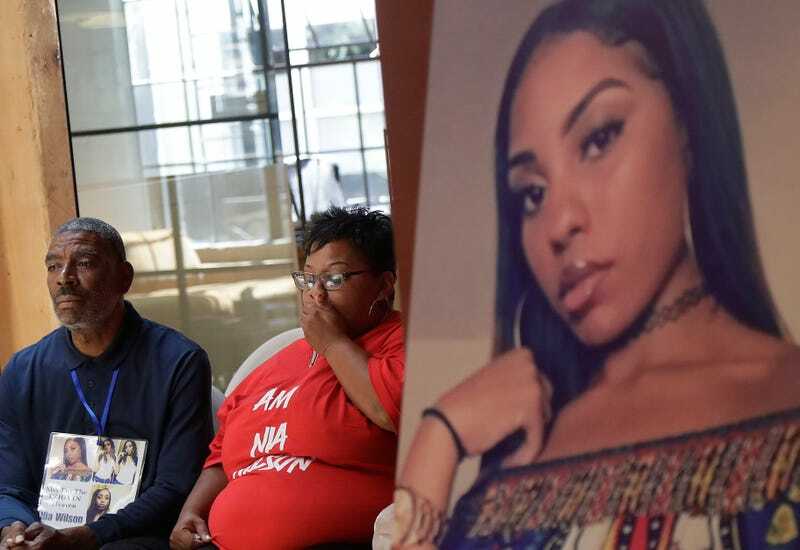 “Plaintiffs contend that Nia Wilson’s death was not a horrific anomaly, but rather the result of a serious and endemic public safety problem,” the complaint read. BART officials have enforced some security measures since Wilson’s horrific death, including building taller walls around stations, locking some swing gates, and bringing on more civilian fare enforcement officers, reports the Chronicle. But fare evasion remains “rampant” throughout the BART system, according to local CBS affiliate KPIX TV. In their suit, Wilson’s family contends that the transit agency knew the connection between fare evasion and crime before the teen’s death, and should have put stricter security measures in place earlier. But the issue of cracking down on fare evaders is a controversial one. Social justice advocates point out steep racial disparities in enforcement of fare evasion—one analysis by the Marshall Project and Gothamist found that 89 percent of the people arrested for fare evasion in New York City between 2014 and 2018 were black or Latinx. In D.C., one study found 91 percent of all fare evasion Metro citations were given to black people. Currently, BART station agents aren’t allowed to stop fare evaders. According KPIX TV, only on-duty BART police can hand out criminal citations. The Wilson family have suffered a huge, unimaginable loss and their goal to make BART safer warrants serious consideration; the transit agency certainly owes thoughtful safety and security measures to all its riders, no matter what station they are coming from or going to (BART told other outlets it could not comment on pending litigation). And several of the proposals listed in the suit don’t relate to fare evasion directly. But there are important questions about how some of these proposals could be implemented and who would they most affect—one particular concern is what Bay Area transit and police officials would be empowered to do while tracking fare evaders. It’s a dragnet that could catch a violent, dangerous man like Cowell but potentially entangle and hurt many more black people along the way.